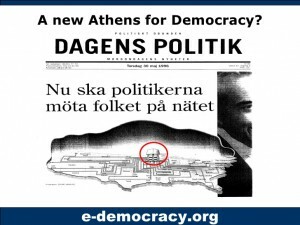 History of E-Democracy was written on November 6, 2015 and filed in Elections, Inclusion, Issues Forums, Lessons, Local, Minneapolis - US, Minnesota, Neighbor Neighbourhoods, Oxford. 1994 – World’s first election information website. First online candidate debate. MN-Politics online forum launched creating longest lasting statewide online citizen-to-citizen discussion active to today. 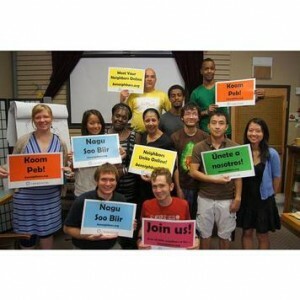 2012-2014 – Major Knight Foundation funding received to expand inclusive online community engagement to reach 10,000 forum members across St. Paul and to share lessons nationally. Minneapolis forums in Standish Ericsson and Powderhorn cross 1,000 members each and connect an estimated 25% of local households daily. E-Democracy in collaboration with Code for America, serves as the host for Open Twin Cities, an open government civic technology meetup and network. 2015 – 2016 – World’s most comprehensive “neighbors online” participant survey results released showing many reason why forum members love their forums. E-Democracy transitions to self-sufficiency doubling the number of individual donors to support forum hosting and support 100%. Contracts with the Kettering Foundation to lead experiments with their Common Ground for Action online deliberation platform and with UK-based mySociety to grow the global Poplus.org to over 80 nations in their online community. As a global convenor, E-Democracy brings their Open Government and Civic Technology Facebook Group to nearly 5,000 members from 120+ countries. Currently, we have over 40 online forums with over 26,000 members across the globe focusing on inclusive online community/civic engagement. Of the 18,000+ forum memberships in the Twin Cities, over 80% of our participants engage at the neighborhood “community life exchange” level where our funded programming is currently focused. As of today, our story has been told by co-founder and Executive Director Steven Clift, around the United States and in over 35 countries.